The Jones & Jones team is a disciplined group of experts who are graduate engineers and practitioners of good management. We are dedicated to the management of the development process, the entire capital improvement process, from facility planning to design, construction and occupancy of a facility. We cultivate a team consisting of Owner, consultants, contractor and subcontractors. We practice lean planning and construction. We are driven by our client's needs. It's the basis of our business philosophy. During preconstruction planning we have an obligation to verify the client's overall objectives will be achieved by every detail of the facility's program. This is our opportunity to confirm the facility will maximize our client's performance. Preconstruction planning is our best opportunity to lower the cost of construction. 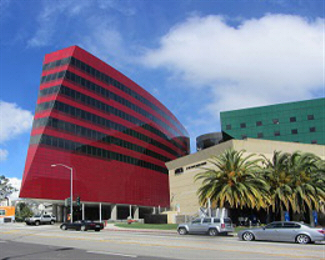 JONES & JONES completed construction of the Red Building in 2013. This 4-year project in West Hollywood, California, broke many records. The Red Building has won numerous architectural awards as an urban masterpiece designed by Mr. Cesar Pelli of Pelli Clarke Pelli Architects. Executive Architect of the project was Gruen Associates. The developer, Charles S. Cohen of Cohen Brothers Realty Corporation of New York, used ULLICO (Union Labor Life Insurance Company) as his lender of choice. A condition of the construction loan was that the Red Building would be constructed by all-union labor. JONES & JONES as Construction Manager dutifully employed all union labor and subcontractors. JONES & JONES entered into project labor agreements with the carpenters' union and laborers' union.